Begin your customer relationship with delight. Turn the most important – yet most neglected – page on a WooCommerce site to your advantage with simple techniques. Kickstart great relationships with customers. most important yet most neglected page on WooCommerce. It’s a goldmine. And now you have the right tools to mine that gold! Surprised? Curious? You’re on the right page! Tell me, what do customers do after they place an order on your site? 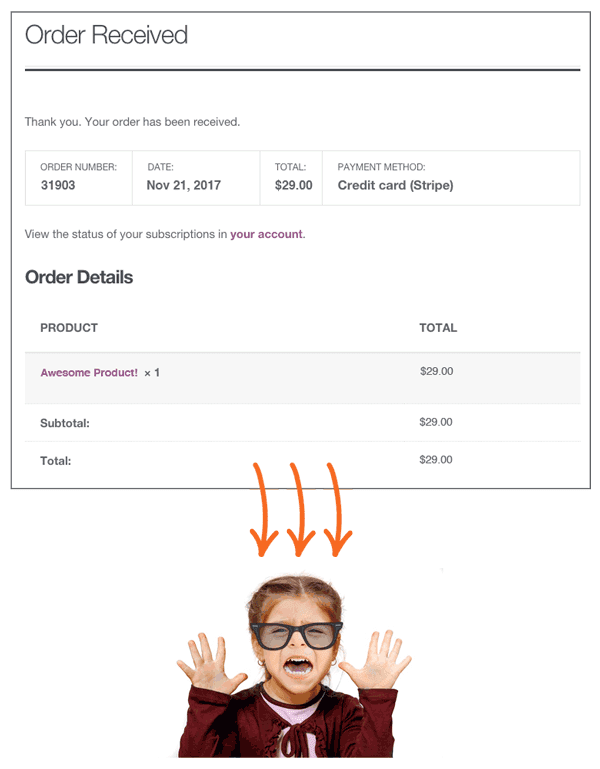 9 out of 10 WooCommerce stores show something like this.. Customers come to this page on order completion, face a dead end, and leave the site. Or struggle to find what to do next. Look, your customer is generally in a positive, receptive mindset at the end of a purchase. There is satisfaction of getting something they wanted. And expectation of quickly benefiting from the product. If you provide amplification of positivity, customers will be delighted. If they encounter a roadblock, buyer’s remorse will kick in – resulting in a refund, negative review or bad publicity. You got to take utmost care of the customer at this stage. Their state of mind is fragile. The solution is to change and customize your order received / thank you page. Compelling, custom thank you pages work like magic! The default WooCommerce order completion page feels like a dead-end. It’s dry and plain.Using the Custom Product Pages Per Product for WooCommerce plugin, you can designate your own order complete, thank you pages. That way you can provide clear calls to action, take away concerns, build relationships and sell more. A big transformation. You get the picture.. You can designate any page as order complete page with this plugin, and can have different thank you pages for different products. In short, you can design optimal experience for your customers. Appreciate customer for their order – use your picture to build trust – or even a video. Then show order confirmation and shipping estimate if possible. Let them know your team is available for help, and reiterate your return/refund policy. Show testimonies from other people who bought this product. Or success stories. Make them feel they made the right decision. Nudge them to use the product ASAP. Instead of selling, give something away for free. A small product, a store credit for next purchase, a personalized thank you note, a bonus for something they purchased.. Take every opportunity for customer delight. Post purchase is a great time to sell more. Show product recommendations, related products, upgrades, their recently viewed items or any other upsells. Embed an offer using our Smart Offers plugin. Or something else you want to promote. Show a time bound special offer and give a discount code on a product they are likely to purchase. Or even storewide discount. Scarcity and discount together are highly likely to trigger additional purchases. What do they do with your product after purchase? Provide documentation or video on-boarding. Take them to their dashboard and help them get started instantly. Show a newsletter subscription form and invite customers to join your mailing list. Use our Icegram, Email Subscribers and Rainmaker plugins to do this. Show them your human side – show a team picture, something personal. Share a story. Something that will establish a human, personal connect and strengthen your relationship. Take a survey – collect feedback about your business, product or service. Or even customers business, preferences or goals. This will help you know your customers better and gain valuable insights. Show your social media links and invite them to follow you. Or share their product purchase with their friends. Run a social media campaign where they win a coupon or discount for sharing. How about asking them to join a social / non-profit cause? Or taking them to some affiliated products and making a commission? Or some third party (or your own) helpful resource? There are many things you can do on your custom thank you / order received page. You can fully customize the design, embed shortcodes from any WordPress or WooCommerce plugins, and generally do anything that you can do with a standard page! Any customization will be a step forward in building a better customer relationship. *The above-mentioned triggers might require the use of other plugins in conjunction with Custom Thank You Page plugin. The Custom Thank You Pages plugin is very simple yet extremely powerful. Use your favorite page builder, your favorite theme, your shortcodes, embed other plugins – create a page with WordPress and design it the way you like. If you need, paste our shortcode anywhere on the page to show order details. Once your thank you page is done, you are ready for the next step. Why don’t we give a drag and drop / component based interface to design thank you pages? Short answer: So that you get full control over what to show on the order thank you page. If we included a drag and drop editor with the plugin, you could only include components we provided. Plus why re-invent the wheel when you already have WordPress, and possibly a visual editor for your pages? Custom Thank You Pages plugin can use any WordPress page as a thank you page. So you can design it with your favorite editor, include shortcodes of your favorite plugins and do anything you want on that page. Heck, the plugin does not even limit you to a page on your site.. You can redirect user to any valid URL when their order completes.. 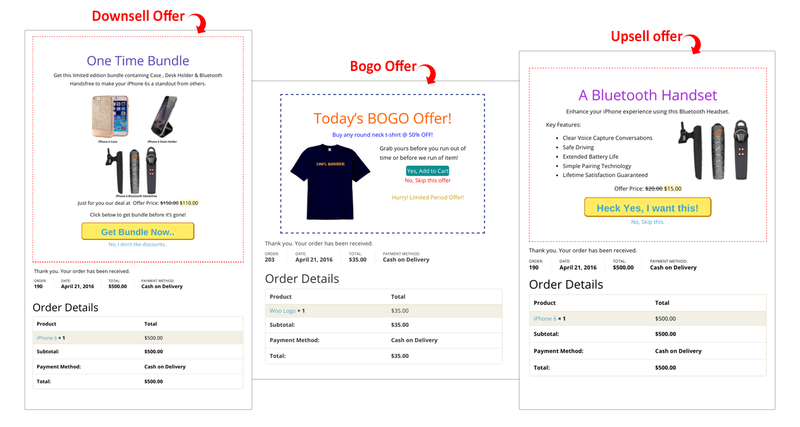 This way you can take the user to your app, a partner offer, another landing page on a different site – whatever you like.. In short, we don’t want to add unnecessary / superfluous code to our plugin. And allow you to use tools you already know and love. We recommend setting up one default custom thank you page for the whole store. Then you can create and link custom thank you pages for products that need custom thank you pages. If the order contains only one product, that product’s thank you page will show. Otherwise storewide thank you page will show. That’s what hundreds of people like you are saying after using Custom Thank You Pages plugin for WooCommerce. 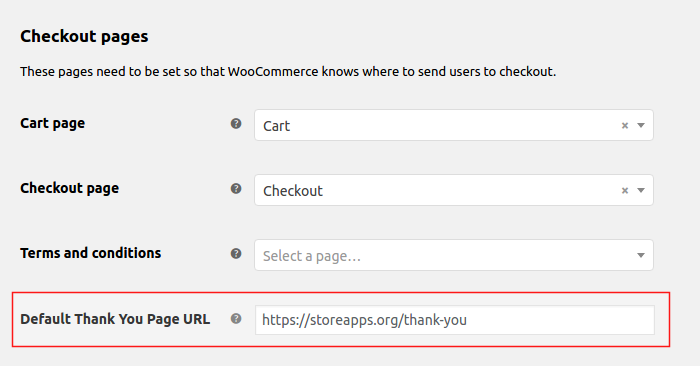 So don’t wait… Custom Thank You Pages for WooCommerce is the most flexible plugin to redirect customers to any custom order received / confirmation / thank you page on checkout for your WooCommerce store. Showing offers on a thank you page significantly increase your chances of making more sales. 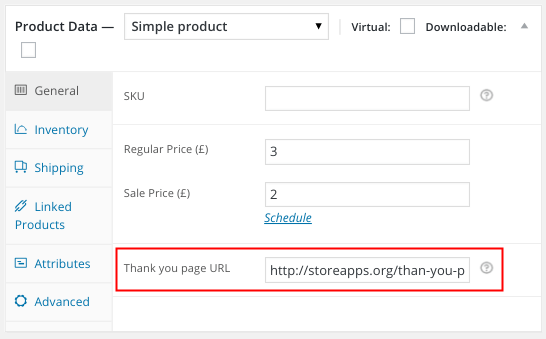 You can easily configure our plugin Smart Offers to show different types of Offers on the Custom Thank You page of your WooCommerce store. Use with Buy Now plugin to get even one-click quick checkouts! Great support I received from you guys and Custom Thank You Pages For WooCommerce plugin works well as I expected. We have plenty of features lined up on our roadmap! A library of readymade and high converting thank you page templates (styles) is already live. So you can get started quickly. Support for variation and category level thank you pages is coming. Ready to delight and grow your customers?? Like hundreds of other people like you?? Hundreds of people like you use this plugin – and love it! The order complete page is a goldmine. So if you are not optimizing it for customer success and growing your sales, money and opportunities are slipping through your fingers.Don’t procrastinate. This is one of those simple plugins that create game changing results. We’ll look forward to hearing your success stories!